Abigail's downstairs apartment, trouble threatens both relationships, and their friendship. For Abigail it comes in the form of an anonymous letter to Sean claiming that she's been unfaithful; for Dara, a reconciliation with her distant father, Cameron, who left the family when Dara was ten, reawakens complicated feelings. Through four ingeniously interlocking narratives-Sean's, Cameron's, Dara's, and Abigail's-we gradually understand how these characters' lives are shaped by both chance and determination. Whatever the source, there is no mistaking the tragedy that strikes the house on Fortune Street. "Everyone," claims Abigail, "has a book or a writer who's the key to their life." As this statement reverberates through each of the narratives, Margot Livesey skillfully reveals how luck-good and bad-plays a vital role in our lives, and how the search for truth can prove a dangerous undertaking. 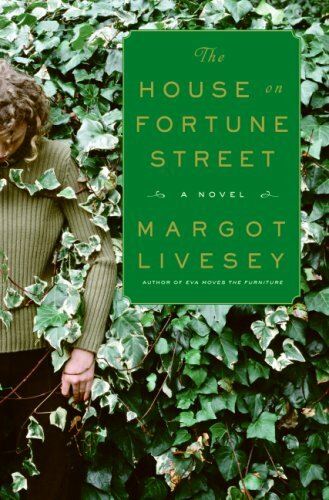 Written with her characteristic elegance and wit, The House on Fortune Street offers a surprisingly provocative detective story of the heart. Margot Livesey is the award-winning author of a story collection, Learning by Heart, and the novels Homework, Criminals, and The Missing World. Born in Scotland, she currently lives and teaches in the Boston area.